i can count the number of tv spots that have truly moved me (whether by laughter or by tears) on one hand. they include this one for the olympics, this one for toyota, this one for google, and as of today, the one below, which was created by ogilvy for dove’s longrunning “real beauty” campaign. i don’t make ads like this – yet. i hope i will someday. campaigns like dove’s ‘real beauty’ are the reason i wanted to work in advertising. they prove that the industry isn’t just about moving product. sure, sales are of utmost importance, but they’re not everything. the best ads awaken something inside you. 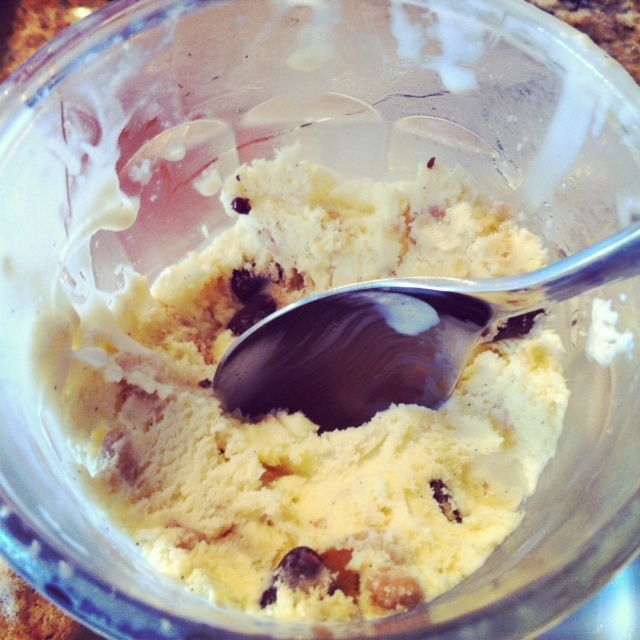 they make you chortle awkwardly at your desk, or cry while curled up on your couch. they make you devour an entire pack of oreos and search for flights to paris. they make you believe in others. 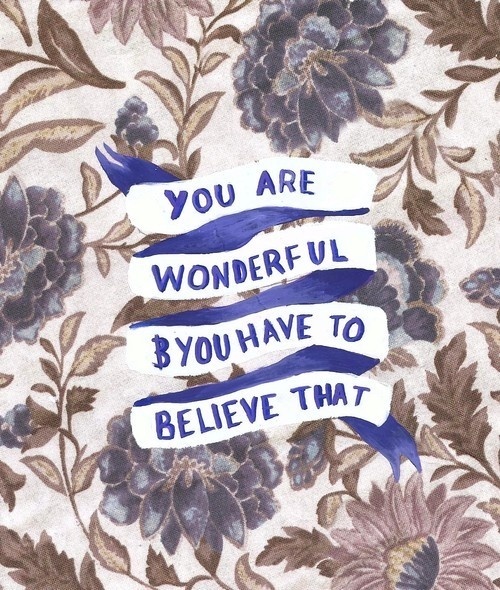 they make you believe in yourself. like great books and great movies, great ads capture the human condition. these dove ads do just that. they play off the idea that women are constantly doubting their own beauty – that we don’t see just how wonderful we are. sadly, i find this to be the case with most women i know, myself included. i am at all times my worst critic, and i scrutinize my looks more than i’d like to admit. i consider all of my close girlfriends to be the perfect manifestation of the female form. while different, they are all insanely gorgeous in their own ways, personality included. and yet, each of them has had her moment where she felt she wasn’t good enough. she wasn’t tall enough, wasn’t thin enough. her hair didn’t curl, her hair didn’t straighten. the hair above her lip was too noticeable. her eyebrows weren’t thick enough. if only she were blonde. if only she were brunette. what amazes me about these dove spots is just how poorly we see ourselves – and how different that image is from what others see. while i’d love to be as dismissive of looks as to say they don’t matter, i know that for most of us, they do – sometimes very much. these spots serve as a reminder that could we only see what everyone else sees, we’d know we were as beautiful as can be. and that, ladies, is something we could stand to remember. my first summer in new york, i interned at an ad agency and lived in an NYU dorm in the heart of chinatown on lafayette and white street. my morning commute consisted of pushing my way through angry salesman yelling HANDBAG HANDBAG LOUIS PRADA GIVENCHY at the top of their lungs to get to the 6 train. the area smelled like pineapple scented fish, but i loved every second of it. beyond my study abroad experience in london, it was my first time living in a big city. the apartment my friends and i lived in was outrageously large, with a common kitchen, multiple bathrooms, and sky-high ceilings. at night, we shimmied into mini skirts and flowy tops from forever21, and applied red NARS lip pencils and hailed cabs to the east village. on our way home, we’d stop at mcdonalds for french fries and mcflurries, which we’d eat in our living room (sans furniture besides the one couch that came with the apartment), sitting cross-legged on the floor in our pajamas, glittery eyeshadow still caked into our lashes. on saturday mornings, we’d drag ourselves out of bed at 11am, and walk a single block into the nail salon next to our building. that’s when i learned about the miracle of the $7 manicure. our salon offered an incredible deal: a mani pedi for just $17. i mean, that’s less than 4 starbucks lattes. i hadn’t really painted my nails since i was 14, but all of a sudden, i became one of those girls who gets a fresh manicure every saturday. when i moved back to new york for real after graduating college, i ditched chinatown for the east village, where manicures were still cheap – but not as cheap. on my meager budget, weekly manicures began to add up, so i started painting my own nails. at first, my fingers were a hot mess, but as they say, practice makes perfect, and slowly but surely, i began to perfect the at home manicure. since i was saving so much by skipping out on the salon, i began investing in funky polishes from butter london, a brand i discovered online. 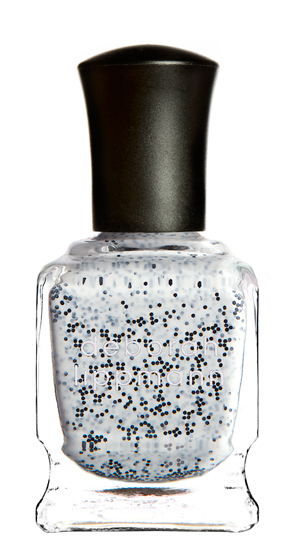 that was my gateway drug to fancy nail polish, and before i knew it, i was a full on addict. these days, i have a large box full of my favorite colors, and each season, i replace the goopy ones with seasonally appropriate polishes. 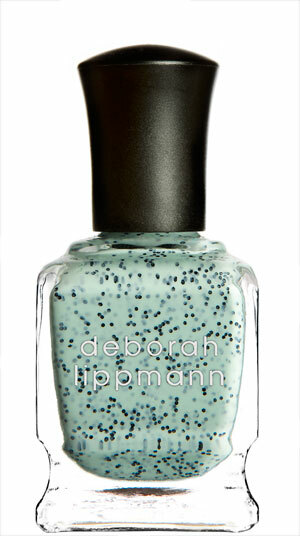 a few years ago, while sneaking around backstage at the tents of mercedes benz fashion week, where i was “covering” the shows as a blogger, i stumbled across deborah lippman, who might as well be the queen of backstage color. lippman does all the best shows, and her colors, which are often the result of collaborations with celebrities such as cher and SJP, go on smooth, rarely chip, and always come in the most gorgeous shades. 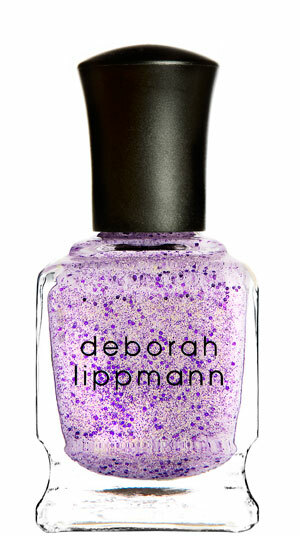 plus, the woman makes the BEST glitter polishes out there. and you all know how i feel about glitter. all of which is to say, lippman collection recently revealed its spring and summer shades, and i’m positively smitten with the the ones pictured here. mint and lavender with crushed glitter. mama mia, color me happy, there’s a sofa in here for two. snag a few shades for yourself here. don’t blame me if you develop a full on polish addiction. 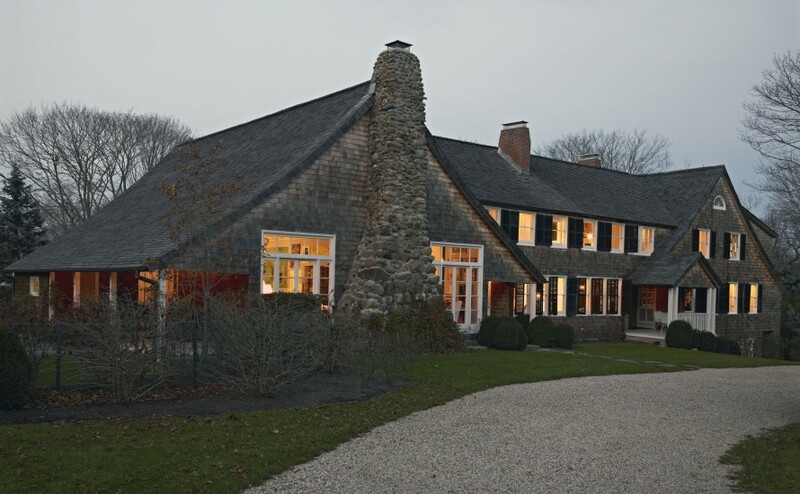 you may have already seen this incredible home floating around the blogosphere, but i couldn’t resist sharing a few of my favorite photos from this southampton abode, which belongs to designer kate spade and her husband andy. the photos come courtesy of steven sclaroff’s website, and mimic the eclectic, slightly preppy and totally quirky style seen in the couple’s manhattan townhouse. while the bones of the two residences are totally different, there’s a good deal of overlap between the two – the spades clearly have a soft spot for stripes, and they’re avid collectors: of books, of art, of barware, of matchbooks and family photos. the two homes, while undeniably chic, don’t feel overly designed or at all stuffy. they’re comfortable homes that actually feel lived in – a feat that’s harder to accomplish than one might think. creative people often tend to have the most beautiful and interesting homes, and such is certainly the case with the places where the spades lay their heads. i’ve never been to southampton, but boy would i love to spend a few nights at the spades. kate, call a sister up, will you? how cute is this little bar area? exhibit a of the spades’ fascination with stripes. i love that this is the grab and go station for the house. running out to the pool? take a towel. need a drink? they’ve got that in spades (ha). i mean, can we talk about these beamed? i die for that little reading nook. can’t you just see yourself sitting there re-reading pride and prejudice with a freshly squeezed cup of orange juice as the morning light streams through the windows? i am just BLOWN away by this room. those windows! those beams! those pendants! i’d imagine the light they cast at night is positively spectacular. 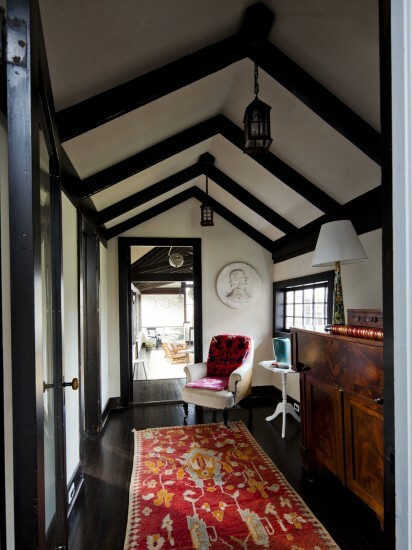 this little room appears to be off the main living room, and it’s so cozy that you just want to cuddle up on that couch and light the fire. exhibit b of stripes. i love all the built-ins in this room. i bet the space smells like old books. how cute is this little powder room? exhibit c of stripes – paired with a gorgeous antique gilded mirror and a cute little pedestal sink. i would absolutely fix my makeup in here. i love this warm, cozy family kitchen. 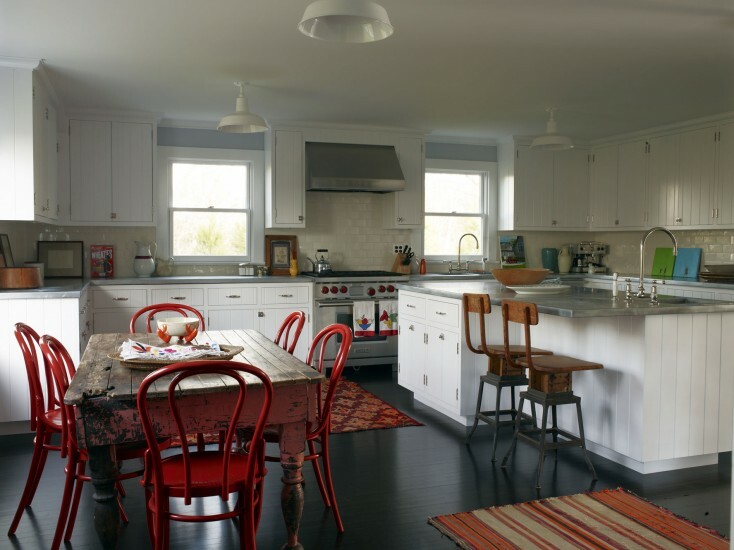 that farmhouse table paired with the glossy red bentwood chairs is screaming for a big ol’ pile of pancakes, and the amount of available counter space in the room is staggering. 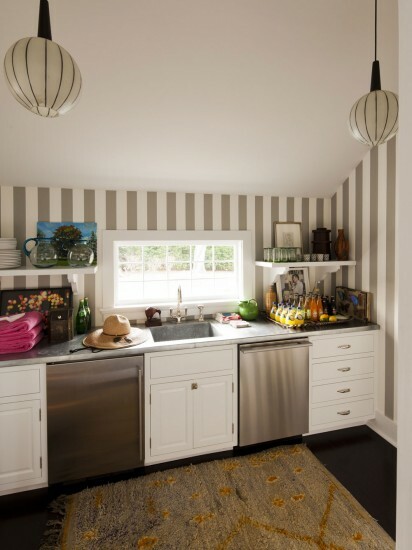 it looks they went with subway tile for the backsplash – be still my heart! gah, what a guestroom! from the faded persian rug to the dark linen walls to the mirrored side table and the suzani quilt, there’s just so much to love about this space. i love the juxtaposition between dark and light in the space. i mean, can we TALK about this bathroom? that floral wallpaper is off its rocker, but somehow, it works. i love it! 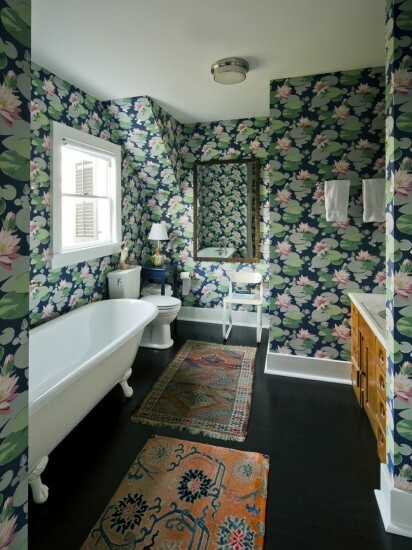 i’d never, ever design such a busy bathroom for myself, and those rugs don’t match the wallpaper in the LEAST, but damn, so i love it. the lines of this space are a bit weird, and i love that they went full out quirky in the design to emphasize the insane architecture of the room. and finally, the exterior of the house. can you imagine driving up that circular driveway (probably in a vintage mercedes) and saying to your kids, “we’re here!” – insane. last summer, i fell in love…with a shoe. 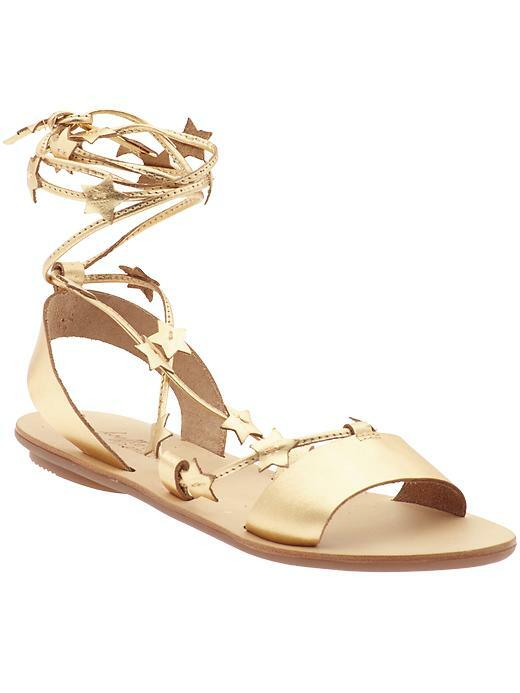 i’m a metallic addict with a hankering for anything celestial, so it’s no surprise that i fell hard for loeffler randall’s starla sandal. of course, by the time i saved my pennies to make the splurge ($175 for a sandal is a bit pricey for me), they were sold out. EVERYWHERE. but now. now loeffler randall is making them for a second season, and i don’t intend to let them get away again. i know, $175 is a lot. a LOT. for a shoe. that doesn’t even have much leather on it. but here’s the thing: i’ve had many a case of “why didn’t i buy that?” remorse, but rarely do i purchase something and wish i hadn’t. so this season, i’m taking no, and ordering these babies as soon as i get paid. summer here i COME. i’m pretty sure i’m late to the game on this passenger song, but we’ve been stretching to it at bar method, and i’m certifiably obsessed with it. i love singer mike rosenberg’s soulful but slightly ragged voice, and the twinkly piano at the beginning is perfect. the lyrics ain’t half bad either. go ahead, try and listen to it and not put it on repeat. let’s see which one comes true first.